Knowing others is intelligence;knowing yourself is true wisdom. 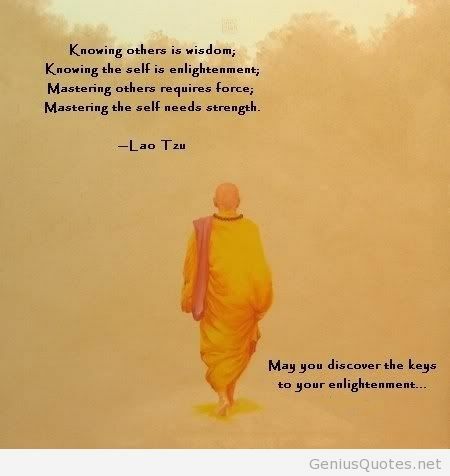 Mastering others is strength; mastering yourself is true power.If you realize that you have enough, you are truly rich. When you are content to be simply yourself and don't compare or compete, everyone will respect you. Time is a created thing. To say 'I don't have time,' is like saying, 'I don't want to.